covering motivation, sequencing, development and quantity. I’ve discussed in this blog before how students having access to more books of music is going to have a positive impact on their musical literacy, and how learning a large number of pieces each year will have commensurate educational benefits. I’m not going to rehash either of these posts, but rather cut straight to: what are the rules we need to apply to students and their repertoire? RULE 1: The Rule of Quantity. If your student learns less than 26 pieces per annum they will be bored. They may not tell you they are bored, but they are. If learning 6 pieces a year truly engages their curiosity they must be almost entirely disinterested in learning to play the piano. On the other hand, you may have a student who only learns 6 pieces a year with you; they are busy finding their own repertoire (jamming with friends, composing their own songs and pieces, playing songs they listen to on their iPods, playing pieces they’ve discovered on YouTube, accompanying worship services at church, accompanying friends at school, and so on) which makes up the 20-piece deficit in order for a piano student to not completely (albeit metaphorically) die of boredom. RULE 2: The Rule of Development. Once a student has hit 15 years of age they get to have a very large say indeed in their repertoire; before a student reaches 12 years of age they get basically none. RULE 3:The Rule of Curiosity. Interesting music is interesting to learn. It is tautological to state that interesting=interesting, and yet time and time again piano teachers present students with music of limited ideas under the misguided belief that these pieces will inspire their languishing students to re-engage with their practice. The best learning happens when students are curious, so offering students more of the same seems like a recipe for poor learning, both in terms of what will be learned (not much) and in terms of how that learning takes place (through learning not emerging from curiosity). RULE 4: The Rule of Gratification. Almost-instant gratification is very gratifying. It is also tautological to state that gratifying=gratifying, yet our profession as a cohort also struggles with the reality that students will be interested in learning music sounds like music right from their first encounter with the score/piece. When we accept that music-making is what our students are curious about, and that curiosity is fundamental to what we do, we approach the experience of learning any piece of music from a completely different angle – sound, for example become primary in lessons, as does musical experimentation. Note: f it takes three months before it sounds like music the whole process is wrong (see Rule 6 for more thoughts on this). RULE 5: The Rule of Context. The more students can put their music into a context the more excited they are to play that music. Context can be as simple as music the student is already familiar with because an older sibling learned to play it, or that it featured in an advertisement on television, or the student has watched performances on YouTube. Context can be biographical, historical, technological, technical, sociological, interpersonal. A piece of music free of context is a piece students will be ambivalent about investing time into. RULE 6: The Rule of Sequencing. For each new technique, skill or understanding a new piece requires a student to gain, add another week to the length of time it will take the student to learn the piece. So if your student has never played in F sharp minor before, in a 9/8 time signature, with double sharps, mordents, demisemiquavers and dotted semiquavers before you will be looking at a 7 week ‘acquisition’ process prior to being able to work on performance aspects of playing the piece. Ideally a new piece will have no more than 2 new elements, so that students are quickly moving into performance learning (and sounding as if they are playing music). And of course, if they are learning new pieces all the time they will have gained 26-50 new techniques/skills/understandings within a year without really trying. Next, of course, is the issue of transitioning students from their almost repertoire-free modes of learning (as few as 3-6 pieces a year) into a repertoire-rich mode of learning. 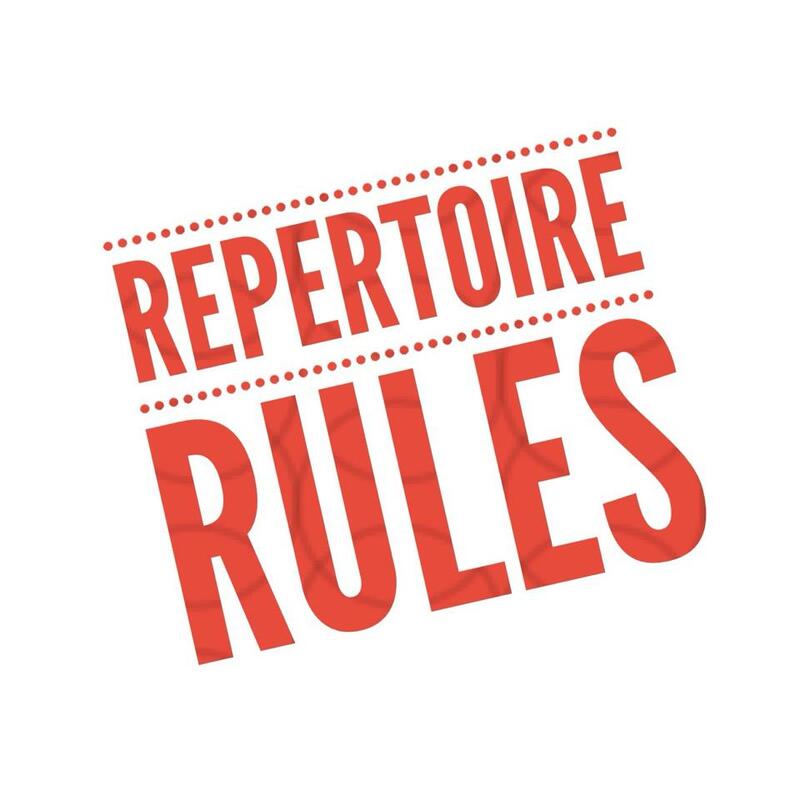 See the blog post Repertoire Rules (for students): How to Transition for ideas and principles to apply to transitioning students. Great post, thank you! I particularly like Rule 2, and I’ve found recently that encouraging my students to research and find repertoire that they want to play has introduced me to some brilliant music that I am also enjoying getting to know. Wonderful post as always! I totally agree that students should be learning LOTS of pieces to stay engaged. I often wonder what other teachers consider “pieces” when it comes to stating how many “pieces” should be learned. What, in your opinion, qualifies as a piece? By that I mean does it include method book exercises (I tend to think of method book pieces as exercises and not songs). Very interesting post! Just love your blog and all of your insights. I agree with part of #2, but when selecting repertoire for “big” projects (the four annual performances in my studio) I offer younger students a choice of two or three pieces which I have carefully pre-selected, all of which work for their level and abilities. This allows them to feel a sense of ownership while at the same time playing works that are tailored to their learning needs and abilities. This is a win-win: they proudly feel that they have “chosen” their piece and have a personal connection with it, but I know that I have actually done the choosing and have set them up for success. I also am curious about #1 . . . am a big fan of variety and keeping things moving during the teaching year (my students work on exercises and short-term pieces of various lengths at the same time as long-term project pieces) but the number “26” will clearly vary depending on the level of the student and the length and difficulty of the repertoire being studied (e.g. a one-page method book piece vs. a movement of a classical-era sonata). When students progress to the point where they are working on advanced repertoire, it’s quite possible for them to study less than 26 pieces a year but still feel challenged, stimulated and engaged. I completely agree, Jana, that advanced students can work on a smaller number of pieces but still feel challenged etc. But what’s interesting is that when you ask advanced students what they are actually doing at the piano it’s always been my experience that the kids are accompanying friends, playing for the school musical, playing at church, figuring out pieces or songs they’ve heard, and so forth – and while 26 is an arbitrary number I’ve found over more than a decade that it’s the kids who engage with at least this number of different pianistic experiences each year who are the kids who keep on with their piano studies… ! Totally understand what you are saying here about additional pieces and a variety of extra-lesson musical activities, Elissa. And I agree that variety is tremendously important, and have always challenged my students to experience many different kinds of repertoire as well as unique musical experiences. I just have personally found that, at least based on my 27 years of teaching all levels and having a very high student retention rate, it can be difficult to quantify repertoire in the way that you describe, as the number of pieces a student explores is so very dependent on the student’s age and learning level, abilities and learning style, special needs, and/or other non-musical extra-curricular activities. I think back to my early teaching days, and I just imagine that I would be very intimidated as a new teacher if I saw the number “26” listed under a repertoire “rule” and tried to adopt that across the board with my students. Another aspect of all of this that I think is very important is depth of learning. For example, I have had a number of transfer students who had been advanced substantially in their lesson materials (i.e. had played a sizable quantity of pieces in the previous year), but were lacking in some basic skills because they had been moved too quickly through repertoire with a shallow degree of learning or understanding. Ultimately, finding a balance between sensitivity to students’ individual learning paces/styles and also discovering ways to keep them moving forward and interested whether through lessons or other musical involvement (which you mentioned and I am a strong advocate of) is, at least for me, the primary consideration when selecting repertoire, rather than any particular number. Just my 2 cents . . . again, thank you for the post and the discussion! In teaching outdoor skills (canoeing, in my case) one of the keys is the skill progression: You break up a complex skill into steps, and practice each step alone, then in short combinations, then in longer combinations. If a student is wildly enthusiastic about a new piece that has seven new skills, perhaps let him bang his head into it for a week or two, but then, (keeping with the large repertoire model) adding pieces that gave each new skill separately.